The rain-or-shine attitude is something that sets campers apart. Whether you are going hiking or kayaking, you sure aren’t going to miss out on the time of your life because of a little liquid sunshine!! Summer camp is a crash-course in teamwork and quickly turns us all into leaders and team players. From meals to playtime to campfires, campers do everything together and quickly discover that the more you collaborate, the more fun you can have. 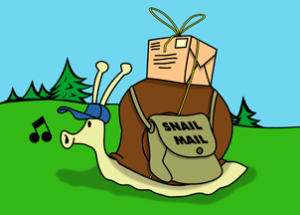 Mail time at camp is exciting for everyone! Parents love getting updates from camp, and campers love getting a little piece of home. In a world where paper is being used less and less, there’s nothing like getting a post card in the winter from your best camp friend. You can take the camper out of camp, but you can never take the camp songs out of the camper. Repeat-after-me melodies are a tradition as old as camp itself that turn goofy rhymes into songs that get stuck in your head forever…for counselors and campers alike. Summer camp is all about having fun in the great outdoors, and that means running around in the woods, jumping in the pond and getting dirt stains on your clothing. Especially for campers coming from the big city, getting comfortable with mud, bugs and insects means getting out of your comfort zone… and having a blast while doing so. Diversity is strength, and camp is one of the most diverse places around. You never know who’s going to be in your cabin, and no matter where everyone comes from, you all have to work together both in and out of activities. You Know How to Start a Fire and Roast a Perfect Marshmallow! Not everyone knows how to start a fire in the digital era, but as a camper you know a thing or two about getting that tinder to light. 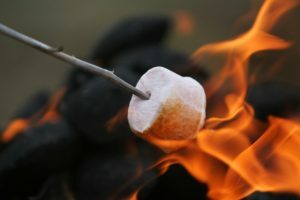 Chances are you even have a great campfire story and know a thing or two about crafting the perfect s’more! The number one sign of a lifelong camper is when you’ve been going to camp for so many years that you become too old to be a camper — so you become a counselor! Being a camp counselor is one of the best jobs in the world and a chance to share all your years of camp wisdom with the next generation. You’re more than just a camper…you’re a role model!